Tuesday, October 3, marked the second anniversary of the US strike on a hospital in the northern Afghan city of Kunduz, which killed 42 civilians. Local residents, however, told Sputnik that according to its agreement with Kabul, the US 'bears no responsibility' for any damage from its attack. 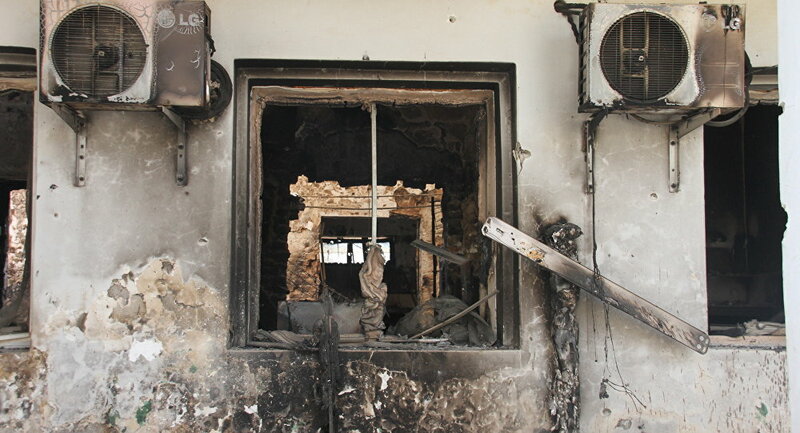 On October 3, 2015, the US Air Forces attacked the Kunduz Trauma Center, operated by Médecins Sans Frontières (MSF), or Doctors Without Borders, killing 14 employees of the center, 24 patients and four family members who had come to visit them. What is more, the attack destroyed not only the hospital, but a great number of shops, street markets and warehouses in the area. Many people suffered in fires which resulted from the airstrike. Some Afghans who lost their property in the assault shared their sad stories with Sputnik Afghanistan. Abdul Marof Raufi, head of the company Zam Zam, which was once located near the destroyed hospital, said that the US military has refused to compensate him for his lost business. They said that the US Armed Forces do not compensate people for the loss of houses or other property demolished during their military operations and attacks on civilian targets in Afghanistan. Tuesday, October 3, marked the second anniversary of the US strike on a hospital in northern Afghan city of Kunduz, which killed 42 civilians. "The attack started at 2:00 am. The city, which was in the hands of the Taliban at that period of time, was asleep. Simultaneously with the Doctors Without Borders hospital, they attacked the nearest market, where I kept all of my goods. All of them have been destroyed along with a number of nearby street shops and a Mercedes 404 passenger bus," he told Sputnik. The vendor had still found no explanations why the US warplanes attacked his warehouse. "It was so awful that I still recall it with shock. I still can't understand why they launched that strike. There was no one in the warehouse except for me and the security guard. It is even more shocking, given that in 2002 the Americans claimed that they were able to distinguish a 4-inch (10-centimeter) target on the ground from a warplane. How then they could not distinguish my warehouse and the van and drop the bombs on them," Abdul Marof Raufi wondered. He further said that he had tried to get compensated for the damages but failed. He gathered all the necessary papers, which had been verified in the Ministry of Foreign Affair of Afghanistan and the US embassy in Kabul. After a year and a half of red tape, the embassy sent him to its air base in Bagram. He had a lengthy conversation with the military authorities there, who told him that according to an agreement between the US and Afghanistan, the US is not responsible for paying any compensation for any damage inflicted by its military operations. They told the vendor that his documents have no significance for them, but, as an exception, they agreed to reimburse him $30,000. Abdul Marof Raufi, said that he did not accept their explanations and refused the aid as it did not cover even a half of his losses (he estimates the cost of the destruction done to his bus at $50,000). Besides, he said, the strike destroyed the electronics on sale in five stores: LCD TVs, conditioners, refrigerators, freezers, solar panels, etc. The vendor applied to the Human Rights Organization and to the UN. However he received a curt reply that it is not the business of such organizations, the only thing they could do is file a report. "I came to the conclusion that Americans deliberately want to set the people against the government of Afghanistan, thus trying to urge all opposition forces to act together. For example, if they don’t' give me money, I won't pay my partners and will be forced to commit certain illegal acts," Abdul Marof Raufi concluded. 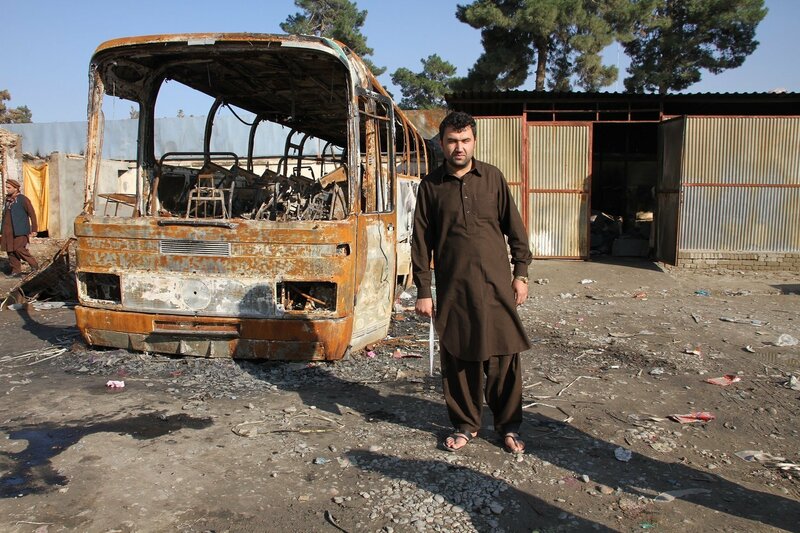 Mohammad Sohrab is head of Alakozai, a company in Kunduz which is one of the largest in Afghanistan. He told Sputnik that a number of government institutions had also suffered in the airstrike, including his office with four employees inside, nearby residential houses and the building of the department on the development of settlements of the Kunduz. "We had filed a claim for compensatory damages but have not been paid anything. We do not understand why we had become a target of the attack and why the US warplanes had destroyed all of our warehouses as there was no one inside except for four employees," he said. The businessman said they had received no reply from the US embassy in Kabul. A representative of Afghan authorities, press secretary for Kunduz province Mahmoud Danesh, has commented to Sputnik on the issue. 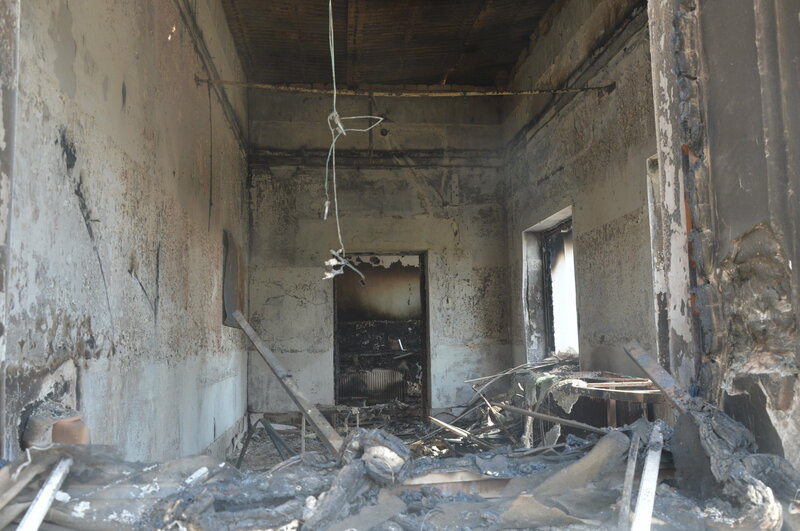 "The MSF hospital was attacked after a notification was received that the Taliban militants were inside. The strike completely destroyed the building, killing the employees of the center. The US military, however, had not provided any aid or other compensation to the victims. The MSF, however, had sent a certain compensation to the families of the victims," he said. Mahmoud Danesh further said that no civilian who suffered in the military operations in Afghanistan had been ever provided any assistance from a foreign state. People only get aid from the local authorities. He cited as an example the airstrike of an international forces on the Boz district of Kandahar city. The Afghan government then paid 6.5 million afghani (around $95,000). The money was given to the families of the victims and those who were left homeless.